Ghidey arrived in the UK via family reunion, tragically her husband passed away shortly after. This lead to very difficult situation in many areas (immigration, debt, probate, etc) which, in a new country she found very difficult to manage. When she was referred to Money Sorted in D2N2 she was able to get specialist financial inclusion support and increase her employability options. Working with Ghidey we were able to get her debts into repayment plans, secure her tenancy and nominate her for the School of Artisan Food Scholarship to do a Diploma in Artisan Baking. She was accepted and will finish in September 2018. 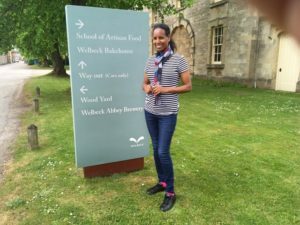 The School of Artisan Food have been very supportive, also offering Ghidey work 4 days a week and free ESOL lessons to improve her English. Ghidey now has stability and is looking forward to the future.